The Barbering program is a sequence of courses that prepares students for careers in the field of barbering. Learning opportunities develop academic and professional knowledge and skills required for job acquisition, retention, and advancement. The program emphasizes specialized training in safety, sanitation, hair treatments and manipulations, haircutting techniques, shaving, skin care, reception, sales, and management. 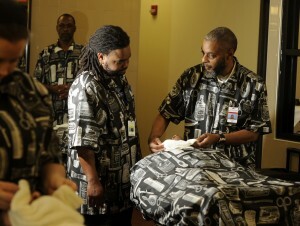 The curriculum meets state licensing requirements of the Georgia State Board of Barbering. The program graduate receives a Barbering diploma and is employable as a barber, salon/shop manager or a salon/shop owner.